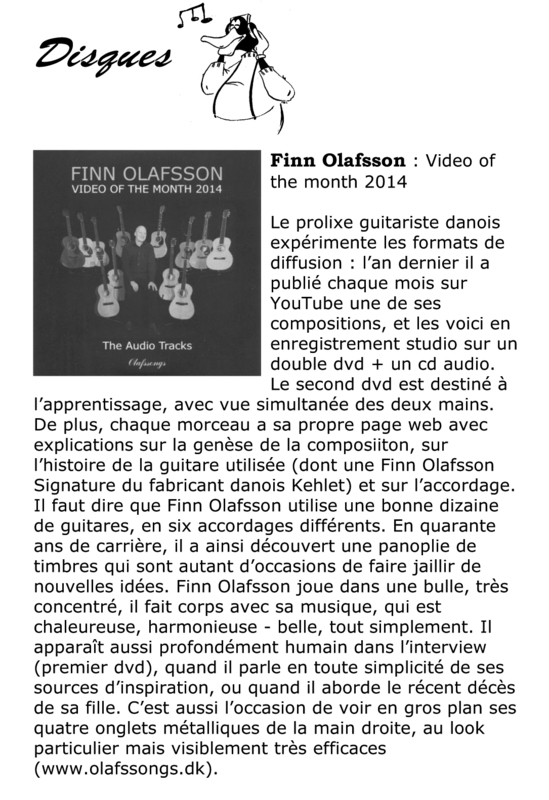 FINN OLAFSSON • Portrait Interview • "Video of the Month 2014"
This 26 minutes portrait interview was made in late 2014 in the extension of Finn Olafsson's "Video of the Month 2014" project: 12 live-in-the-studio acoustic guitar videos. 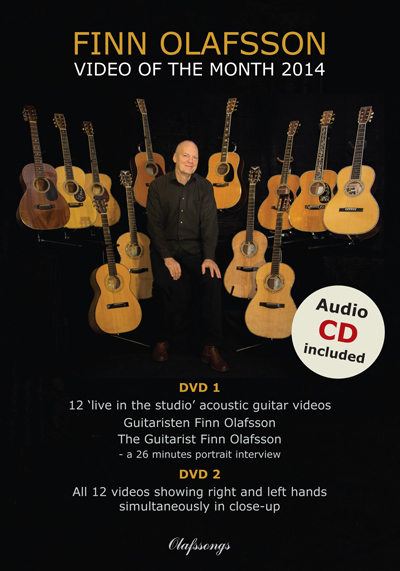 Finn Olafsson tells about composing music, his inspiration, his life with music, the guitars he plays, how he kept spirits up after the death of his daughter Maria in August 2013 - and much more - mixed with clips of his music from the videos. 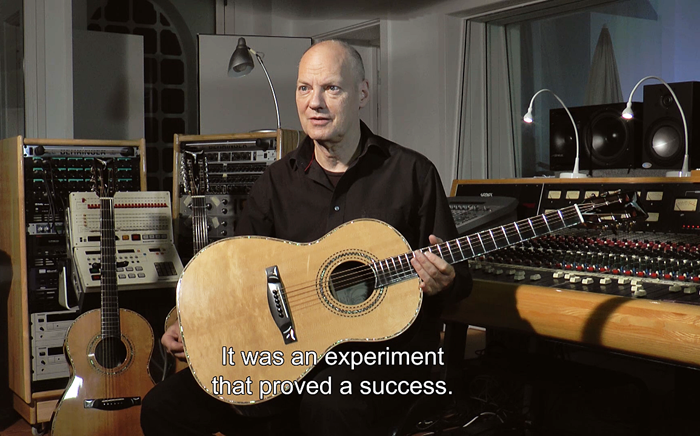 Watch the portrait interview on YouTube by clicking in the picture. 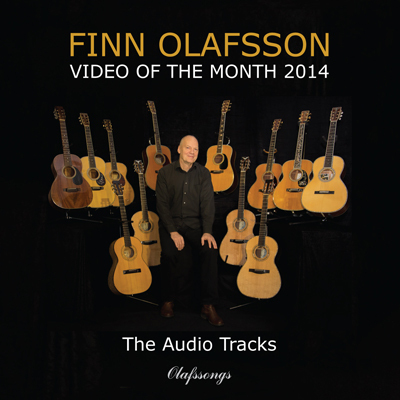 "Finn Olafsson: Video of the Month 2014"